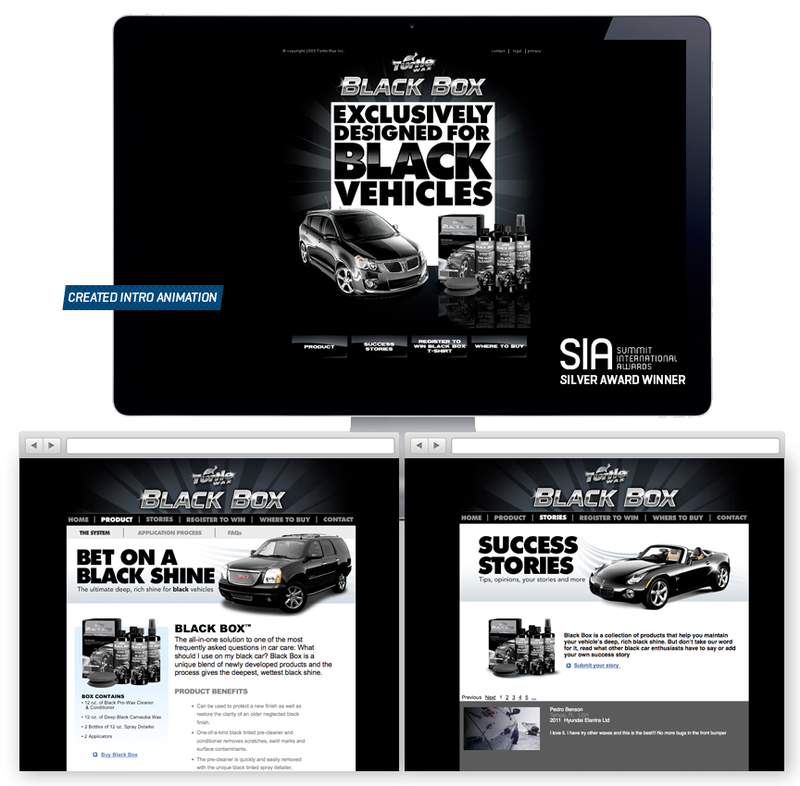 In collaboration with a programmer and a copy writer I created this microsite for Turtle Wax Black Box car polish which was specifically developed for black cars. I also storyboarded created the Adobe Flash intro animation. 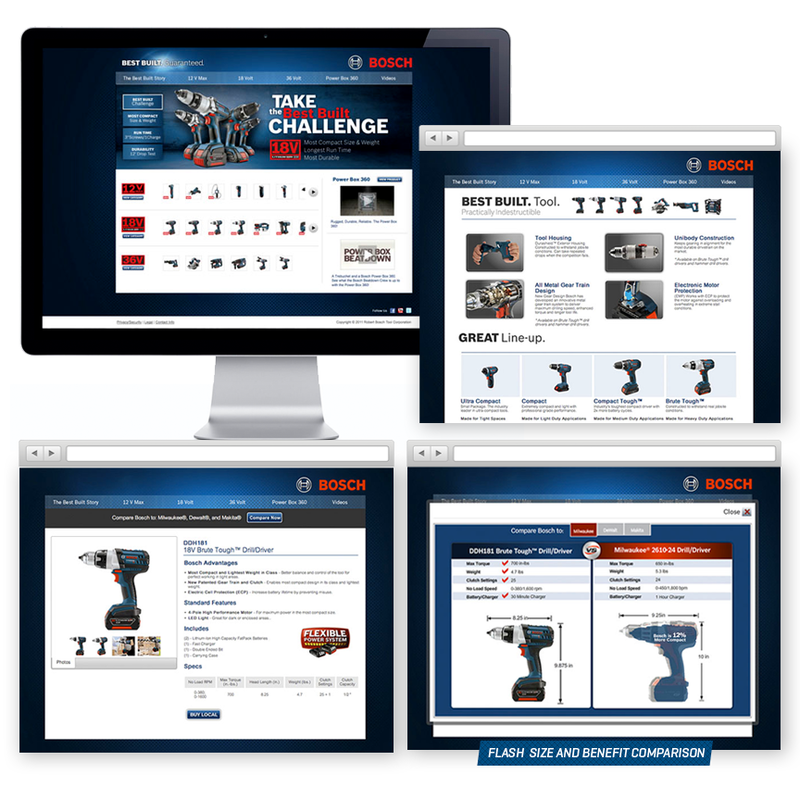 This microsite introduced a new line of stronger more powerful power tools made by a world leading tool manufacturer. I also developed a size comparison animation and benefit marker for the tools sizable advantage over the competition. 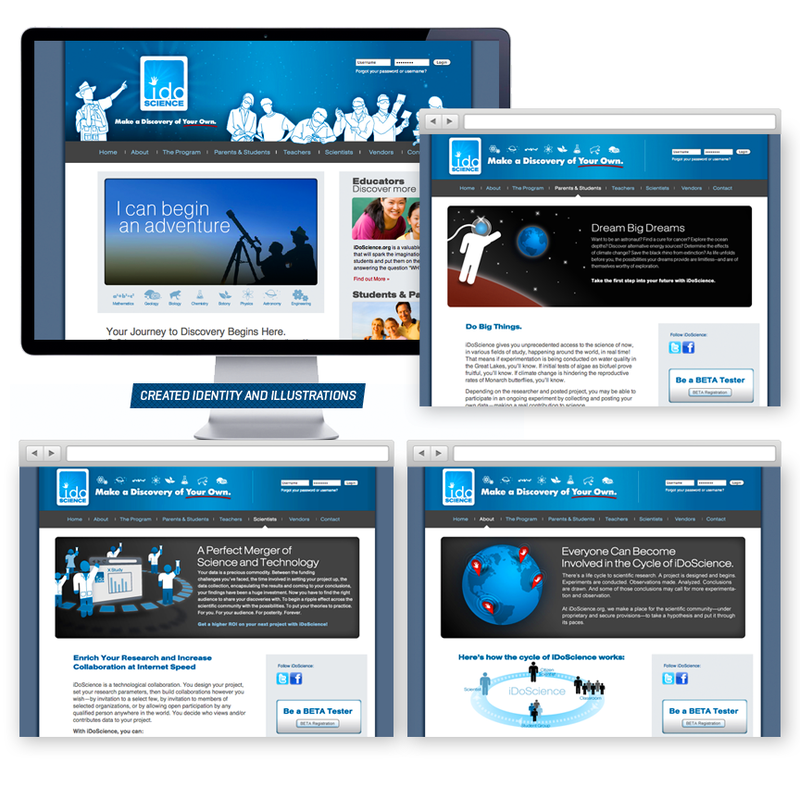 idoscience.org was a internet hub where scientists , amateur and professional, could conduct experiments all over the globe and compare data. I created the identity and all the illustrations for the site. 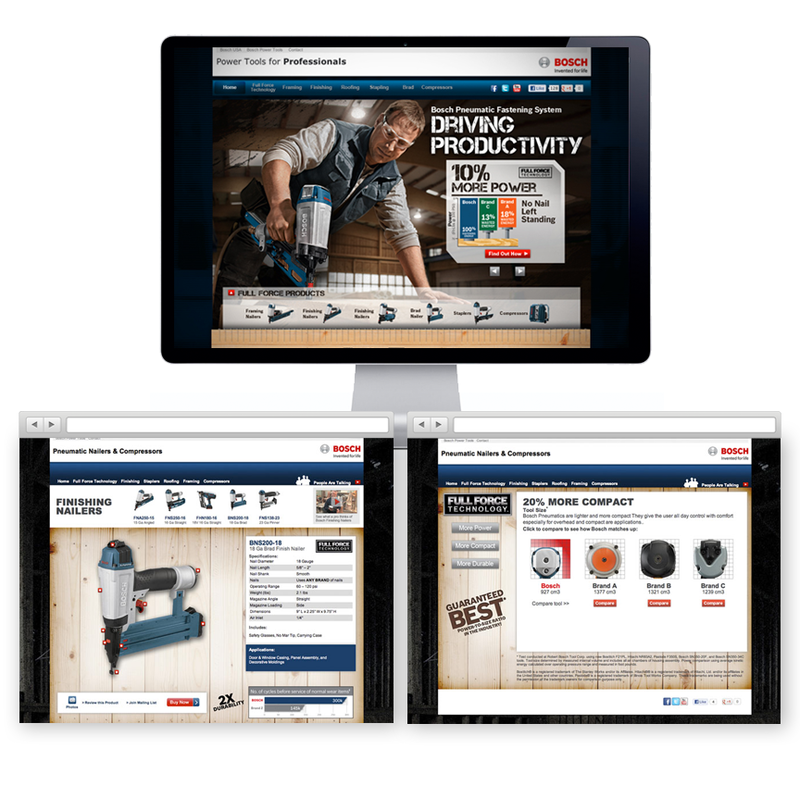 Created a microsite for the new line of pneumatic nail guns being produced by a global leading tool manufacturer. 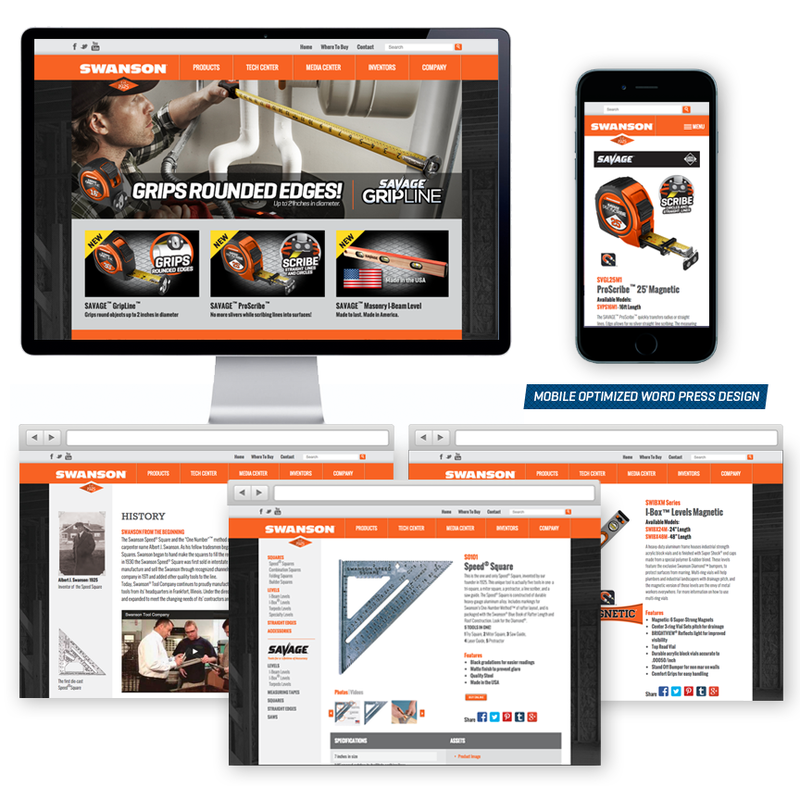 This newly rebranded web site was developed to introduce the new Swanson Tool Company. It was developed in WordPress so the client would have control of adding new info, press releases and photos at any given time. Comparison animated graphic highlighted how much smaller these alternators were to their competitors. 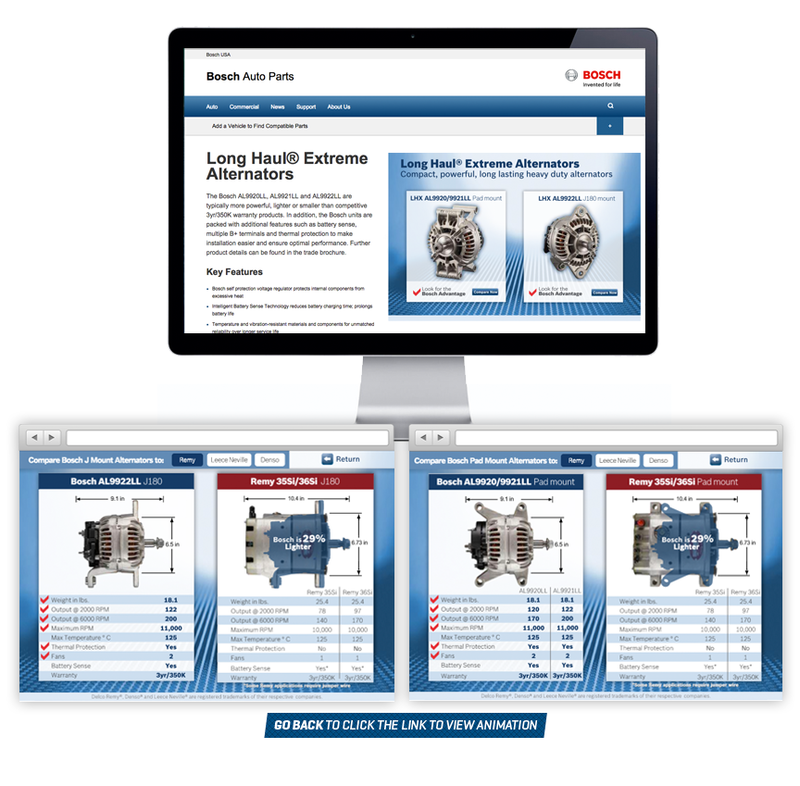 You can also scroll over and see each of the product's advantages.